Where Can I Find Auto Repair Insurance In Westchester NY? Our goal at Keep Insurance is to provide protection in the event of an accident, breakdown, or part failure. Our staff is friendly and knowledgeable to ensure you receive the best auto repair insurance in Westchester NY at the lowest cost available. 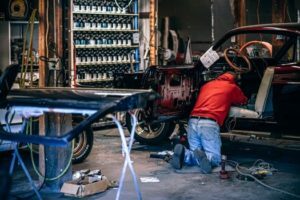 What Does Auto Repair Insurance Cover? How Much Does Auto Repair Insurance Cost? The cost of auto repair insurance varies for each client. The auto repair insurance cost is based on individual factors such as make and model and condition of the vehicle, driving history, type of coverage, and more. However, if you are uninsured and need auto repairs, the mechanic will require payment in full, which may be very costly. Can Any Vehicle Be Insured? The great thing that separates auto repair insurance from a warranty is that the vehicle’s age has little effect on the coverage itself. However, you may be required to pay a larger deductible if your vehicle is an older model. We also provide other forms of protection such as business liability insurance and homeowner’s insurance. Why Choose Auto Repair Insurance? In conclusion, our team at Keep Insurance are experts in insurance coverage. We are here to answer any questions or concerns you may have regarding car insurance or auto repair insurance in Westchester NY, Dutchess County NY, Ulster County NY, Danbury CT, and Fairfield CT. Contact Keep Insurance today to schedule a free consultation. Call now 877-892-KEEP.